Fly to exhilarating motor racing events in comfort and luxury, to take up pole position. Experience for yourself the exciting, breathtaking world of motor racing, a sport which attracts millions of fans from across the world. The season is greeted by huge crowds and met with anticipation and speculation about the competitors and winners but it also attracts traffic queues, which you can beat by flying over them all in a helicopter. Soak up the atmosphere and cheer on your favourite to victory, as you experience first hand the glamour and excitement of motor racing, as teams and drivers fight for supremacy on the track and you take your place to watch the action unfold. Arrive in style by flying to exhilarating motor racing events in comfort and luxury, to take up pole position as a spectator. 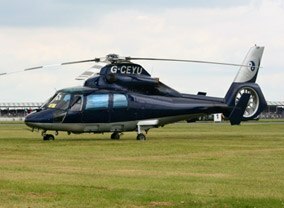 Many motor racing competitors fly to meets to make sure they arrive in plenty of time and you too will avoid missing the start and the stress of traffic delays by arriving in a helicopter. Traffic jams are renowned as being part of the package for any motor racing event, owing to their increasing popularity, attracting large numbers of fans, so it makes sense to fly to escape the ever increasing crowds. Flexibility and convenience are big advantages of using a private helicopter. Delays caused by weather or accidents, can easily throw out the schedule for the day’s motor racing, meaning those facing the tyranny of a scheduled timetable could easily miss the final lap, chequered flag, lap of victory and the spraying of the champagne. By using a helicopter you will be able to relax knowing it will wait for you, even if the motor racing goes on longer than expected. Quick and efficient flights save you even more time especially as you fly from near your home or office, reducing still further the time you spend travelling. Enjoy the ultimate racing experience enjoying the views as you travel to the motor racing event so you enjoy the actual journey and experience en route to the action. Fly to meets for any motor sports not just those listed, as these are just to help get you started with some of the most requested events highlighted. Fly to rallies or other motor racing events so please just call our team to ask about any you may be interested in. 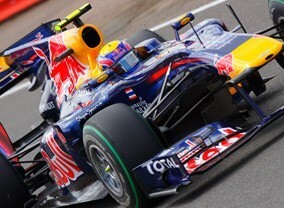 To book your flight to any motor racing event please call our team now on 01256 635000.